This cordless LED light with polywave® technology achieves an optimal broadband range similar to the spectrum of halogen lights. It is suitable for all light-curing dental materials. Features a virtually noiseless internal cooling system for continuous operation, and a handy Click & Cure™ corded backup power supply that eliminates delays from depleted batteries. 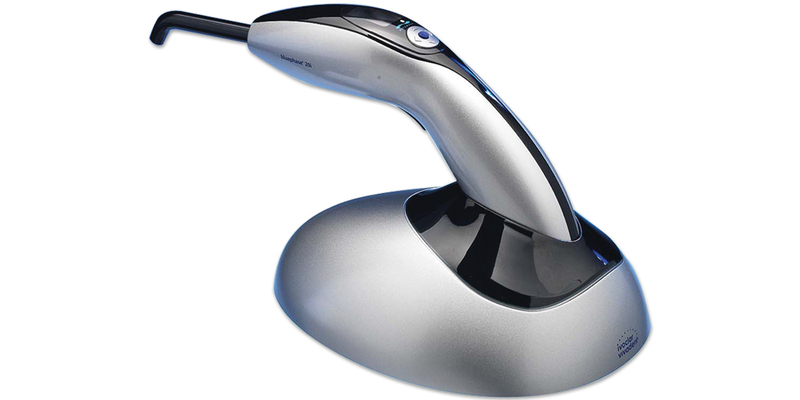 You are welcome to use the Bluephase 20i curing light on a complete satisfaction guarantee basis; if you are not fully satisfied with this product, return it within 30 days for a complete refund. You may use one in your office on a trial basis; however, we can only accept the return of one unit in used condition.